The federal budget proposed by the Liberal government promises a lot of things, but what does it mean for the automotive aftermarket? There’s nothing carved out specifically for the industry, but there are items that are of interest to business owners and employees, such as a focus on skills training and offering rebates on employment insurance. The budget sets aside $4.6 billion over five years to help more Canadians afford and access skills training. This includes $250 per year in federal tax credits with the government also helping pay the bills. The money is to help workers offset the costs of learning new job skills. With enhanced skills needed as automotive technology evolves, it stands to think technicians can take advantage of this plan to boost their knowledge. The credit, however, is not expected to launch until 2020, meaning the government would have to be re-elected in order for it to go into effect or hope a new government keeps it. It will apply against the cost of programs at eligible universities, colleges and training institutions. Relief is also planned for those who take time off from work to attend training programs through a new employment-insurance benefit. It would cover up to 55 per cent of earnings. Those who qualify could get four weeks of leave, redeemable within a four-year window. But this would require negotiations on labour law with the provinces. 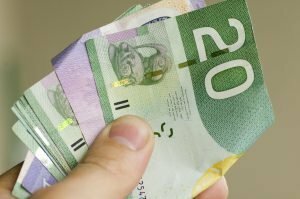 For businesses, this could mean an increase in the EI system of $300 million dollars, according to estimates from the Canadian Federation of Independent Business. The group supports the idea but wants to see more consultation from the federal and provincial governments to ensure the needs of employers are met.